NPower.gov.ng | N-Power Job Online Application Portal | How to Apply N-Power Job Online – We are once again please to share with you all the new opportunity which the Federal Government of Nigeria has make possible for all Graduates & Non-graduates Job Availability. The N-Power Online Job Application Portal / website with was Introduced and lunched on Sunday, June 12, 2016 has been receiving large numbers of applicants. ► Civic and adult education instructors in communities across Nigeria. ► Others not mentioned here are the list of job opportunities is not exhaustive. Please Note that just in case u did not see the Courses or Option, Just try follow the guide on this page, or watch the YouTube video below to understand it better. After opening the portal, Click through the various programmes and choose the one that suites you and then click on apply at the bottom of the page. Fill the form carefully and be certain to provide accurate information and documents to support your application. After submitting you will receive an acknowledgement email letter confirming the receipt of the application. 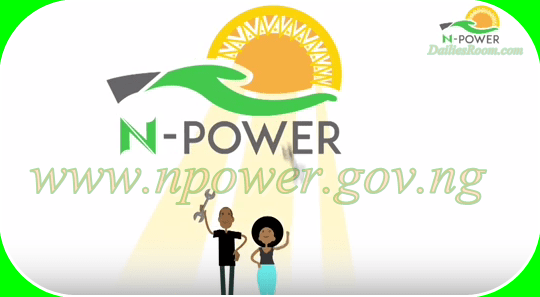 After 48hours you will be notified by email and the registration portal whether you are eligible for the N-Power program, if you are unsuccessful you may apply again in subsequent programs. If you are successful you can proceed to the test page at the MY N-POWER PORTAL, you will be required to write two tests; a general skills test and program specific test. You will have to confirm your acceptance to secure your place. Please note that applications for the Scheme commenced on Sunday June 12 on the portal: www.npower.gov.ng. so Unemployed Nigerians both graduate and non-graduates would be drawn from across the country on state by state basis in the final analysis. I CNT locate d site for registration, pls help!! !